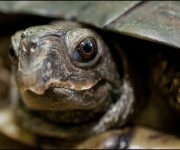 Easily identified by its high, arching domed carapace with bright orange-yellow markings, the box turtle is commonly kept as a pet although collecting this turtle for the pet industry was recently outlawed and the species is now protected in Florida. 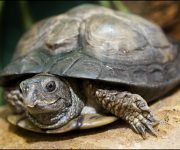 They are omnivorous, in the wild eating snails, insects, berries, fungi, slugs, worms, roots, flowers, fish, frogs, salamanders, snakes, birds, and eggs indiscriminately but have been observed eating carrion. 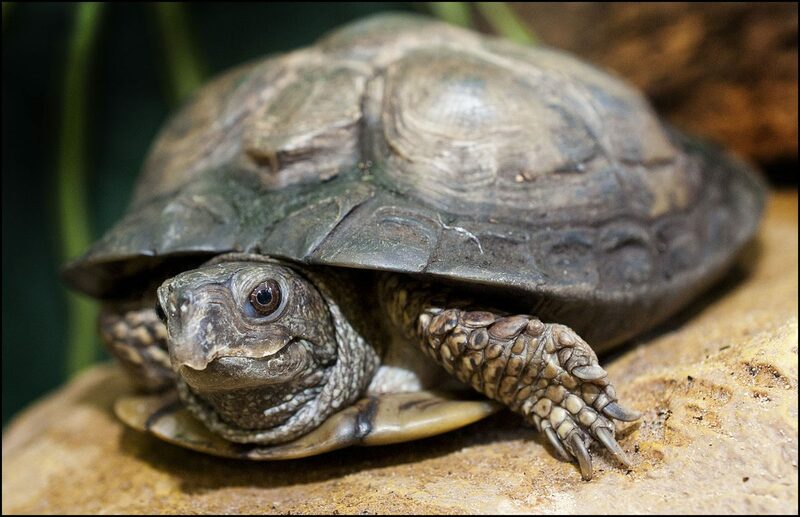 The Florida box turtle is semi-aquatic, at home in both terrestrial and aquatic habitats. In freshwater it prefers to remain in the shallows and does not appear to be a good swimmer. Reproducing females produce one or two clutches of three to five (range 1-11) eggs per year, but many females do not reproduce each year. Incubation takes about 73 (50-110) days. 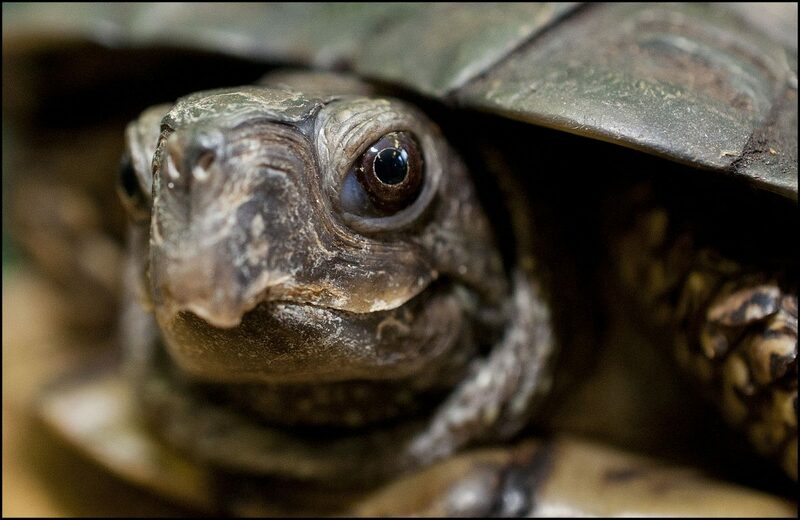 Hatchlings measure about 30 (27-36) mm and maturity is reached at five to six years. The young are primarily carnivorous while they grow during their first five to six years whereas adults tend to be mostly herbivorous, but they eat no green leaves. Young often hunt in ponds and streams where their preferred food is easy to catch, but adults usually feed on land.